Rancho San Dieguito swim team participated in the first annual USA Swimming – Futures Swimming Championships, held July 30 – August 1 in Gresham, Oregon. The team enjoyed a very competitive and high level meet. Coach Joe and Coach Chris traveled with 16 RSD swimmers, including: Rachel Rhee, Rachel Kulik, Leah Coffin, Dani Rosenthal, Rochelle Dong, Sherri McIntee, Tracy Chen, Isabella Boese, Cora McLeland, Liam McCloskey, Mitchell Scarski, Joshua Lin, Tom Linker, Alec Dickstein, Brandon Kulik, and Tim Yen. Liam Mccloskey qualifies for US Olympic trials in the 100 m butterfly with a gold medal win! He also finaled in the 100 freestyle. U.S. Olympic Trials will be held next summer in Omaha, Nebraska. 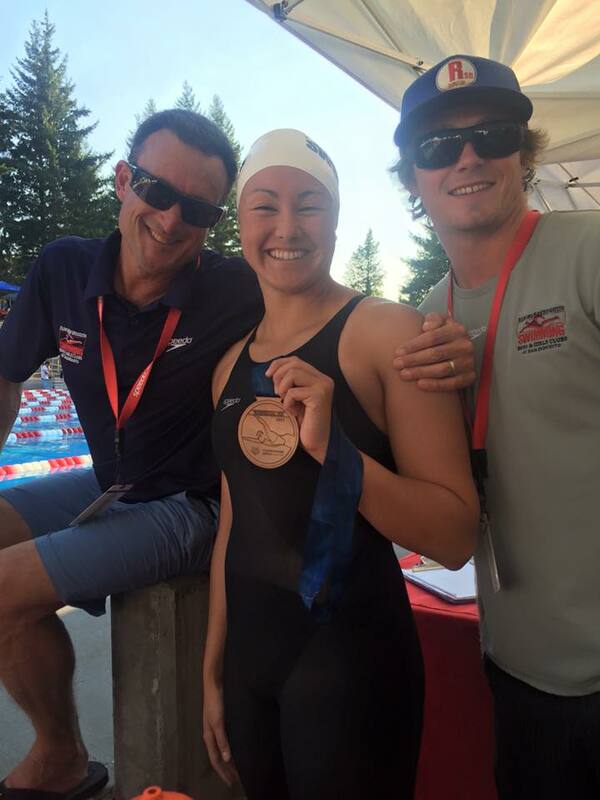 14 year old Rachel Rhee finals in the 200 and 50 free, qualifies for US Junior national championships in the 50 meter Free with a 26.62, and also qualifies for the U.S. Nationals in the same event! Sherri Mcintee finals in both the 100 and 200 breaststroke and makes the podium! Rochelle Dong finals in the 50 free and the 100 fly and makes the podium! 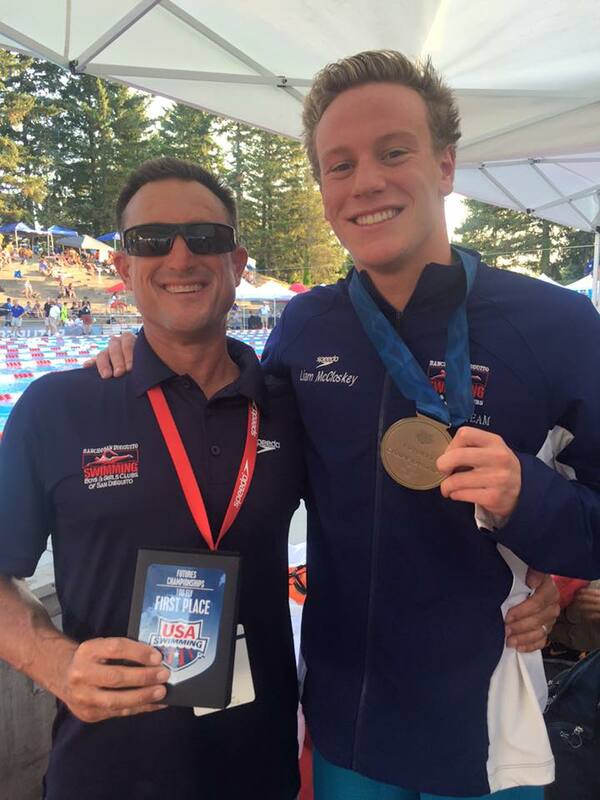 15-year-old Alec Dickstein qualifies for the US Junior National Championships in both 100 and 200 m breaststroke! Joshua Lin finals in the 100 m breaststroke! There were numerous RSD team records broken, lots of valuable life lessons learned, and a great time was had by all! We also enjoyed some VIP treatment from the Portland Fire Department, station 1, thanks to Coach Joe’s friend, Rick Graves.